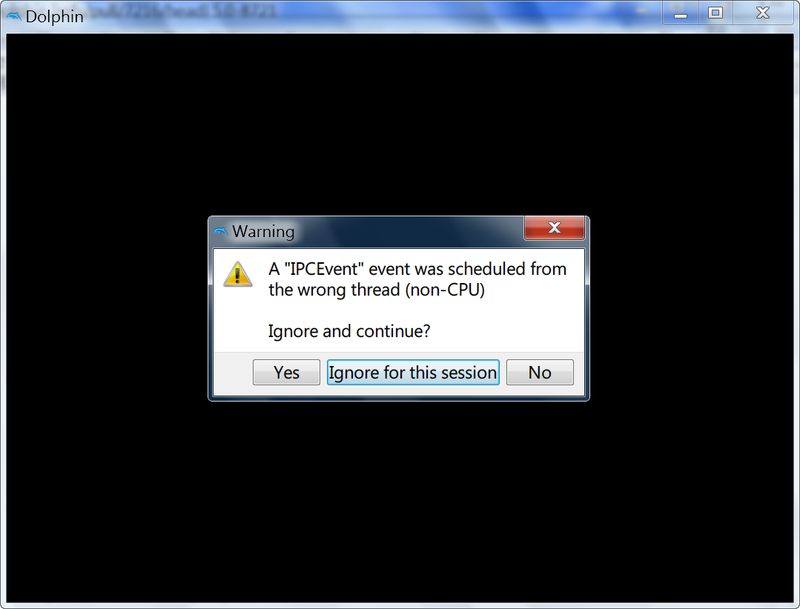 I am using bluetooth passthrough mode (with Zadig's libusbK drive), and sometimes it shows 'A "IPEvent" event was scheduled from the wrong thread (non-CPU)' when starting a game. I have referred to https://forums.dolphin-emu.org/Thread-bluetooth-passthrough-troubleshooting?pid=478721#pid478721 and have changed to https://dl.dolphin-emu.org/prs/pr-7216-dolphin-latest-x64.7z but the same situation still occurs sometimes. Curiously, If I press 'yes' when it pops up, everything will continue as normal. Any suggestion?